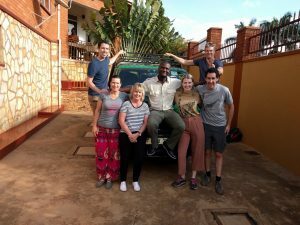 This blog post for #KFUgandaTrip2017 was the hardest for me to write as it marks the end of an amazing journey. We’ve heard back from many of you – alumni of previous trips, friends, families and supporters about how much you’ve enjoyed our posts from the field. Thank you for this positive feedback. It was important to us to capture each day’s experience in order to preserve the memories and to help us process our emotions coming from each day’s activities. I consulted with the team during our last “highlights and lowlights” session (conducted at Cafe Javas on the way to the airport and just before digging into Sharon’s birthday cake) if they thought a final wrap-up blog post was in order; they all agreed we should do it. The previous blogs were based on the first eight days of the trip spent with the Kain Foundation projects – current, past and prospective. We spent our last two days visiting Murchinson Falls National Park and Ziwa Rhino Sanctuary. Both are highly recommended stops and offer breathtaking views of nature and animals. We purposely chose not to write blogs for these days to allow the team to take a break from technology and recharge before coming back to Australia. So, back to the first eight days of the trip, here’s a recap of our most memorable bits. 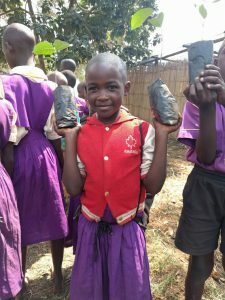 This was the first time any of us had been able to witness firsthand the progress made over the last year by the two projects being funded by Kain Foundation corporate partners: Jr. Landcare and Kkoba Community. We were impressed by the project leaders, their methods for engaging the community and the kids, and most of all, seeing the difference it is making in people’s lives in just one year. 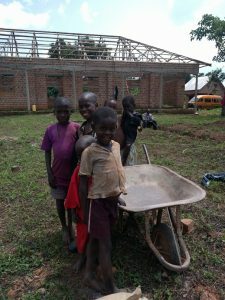 While there is still much work to be done – finishing the new school in Kkoba, replicating the full scale of the Jr. Landcare program from what we saw in Butale to new schools such as Kaboyo, the energy and hope we felt visiting these communities was palpable. 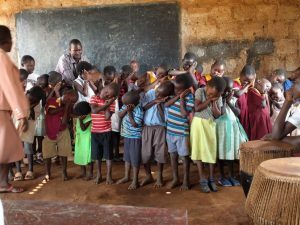 Visiting all the projects – those mentioned above, but also Bulesa school, Watoto, Missionaries of the Poor and Kids for Africa – gave everyone on the team much greater understanding and insight about the challenges and opportunities facing the Ugandan people and the importance of this work. 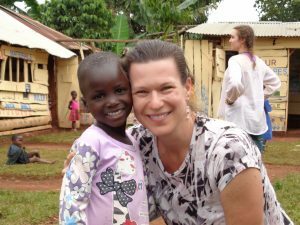 Our team bonded in a big way through the shared experiences of immersion in Uganda. We know that every year’s team thinks theirs is the best, but to quote one of our trippers – “it just doesn’t get any better than this”. It was actually a highlight for some when we were gifted with Lugandan names and spirit animals from the lovely ladies of Myendo. 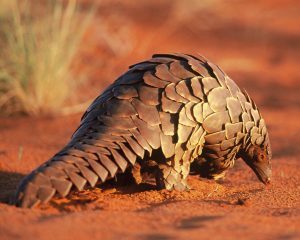 The lions, monkey, river otter, and lung fish all embraced their new identities, but the bush rat and pangolin (a near extinct reptilian-looking mammal) are still coming to terms their assignments. One only needs to look out the window when driving around the slums of Kampala and to hear that there are so many more schools like Bulesa where most students can’t afford uniforms or the fees for a cup of porridge for lunch to feel the weight of how much work is still left to do to combat poverty in Uganda. The marginalisation of women and girls was something we understood much more after this trip. We are heartened that the Kkoba Community Project, led by the thoughtful and steady Tony Wanyoike, is particularly focused on combating domestic violence and economically empowering women. 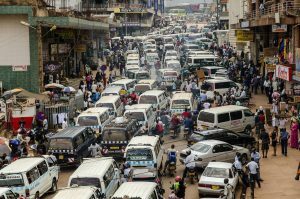 Three hours to travel 45k in Kampala traffic – just a standard weekday rush hour. The same drive on a Saturday night might take twice as long. Traffic lights are mostly nonexistent, and even when there are traffic police – most drivers ignore them. The team did our best to combat the boredom with iPad games of Risk and streaming music, but all agreed we could never deal with this on a daily basis. Hats off to Remmy, our fearless and talented driver (and great safari guide) for getting us through it in one piece. That’s a wrap for the 2017 trip. We hope these blogs have encouraged some to sign-up for future trips and for all to continue supporting these great projects. The Foundation is a public ancillary fund and has been endorsed by the Australian Taxation Office as a deductible gift recipient. ABN 63 425 376 446.